The deep past informs our vital present. Much of Western culture flows from the civilizations that flourished in the Mediterranean before the birth of Christ. From politics to architecture, Western culture bears the stamp of its origins in these ancient societies. Understanding the cultural impact of these civilizations is essential to understanding the current world. Our curriculum spans art history, Jewish studies, and philosophy, and includes classical languages and literature — in fact, you’ll gain working knowledge of classical Greek, Hebrew, or Latin. Armed with these skills, you’ll draw connections and conclusions that link some of the oldest societies on earth with the most timely and pressing issues facing the modern Western world. Why Study Ancient Civilization at Clark? Experience a broad, rich program of learning in this intensely interdisciplinary major, based in the Department of Language, Literature, and Culture. Acquire basic facility in one or more ancient languages — Latin, ancient Greek, or Hebrew — enabling you to access that culture’s literature, philosophy, and history. Plant your feet, expand your mind, and nourish your soul in the ancient soil of Mediterranean countries such as Greece, Israel, Italy, Jordan, and Turkey. 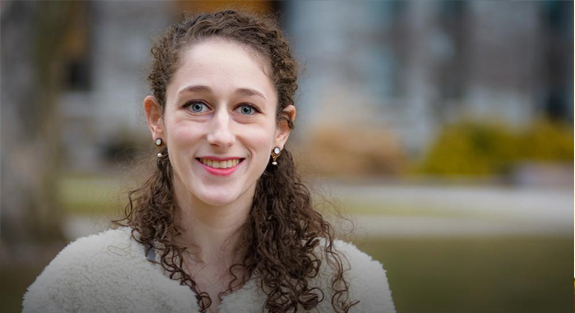 At Clark, Rachel Polinsky found many opportunities to pursue her passion for classical studies and art history, including working with ancient civilization and art history professor Rhys Townsend on the excavation of a Roman site in Turkey. After graduating, she became part of an archaeological team that discovered an escape tunnel dug by Lithuanian Jews during the Holocaust. I met with Dr. Townsend early on in my first semester at Clark, and from that very first meeting he started mentoring and guiding me throughout my undergraduate career. He never wanted me to think my goals were unreachable. The major in ancient civilization is designed to provide you with a sound knowledge of the ancient Greco-Roman and Judaeo-Christian roots of Western civilization. You are expected to acquire a working knowledge of at least one of the principal languages of the ancient Mediterranean (Classical Greek, Hebrew or Latin); this ensures you direct access to the culture, literature, philosophy, and history of the ancient world. During your junior year, you might be accepted into the ancient civilization honors program. Joining the program means you’ll work closely with a professor to create a thesis on a topic of your choice. At Clark, your education extends beyond the classroom. LEEP Center advisers can help you choose from a range of opportunities that complement your coursework and let you put your ancient civilization knowledge into practice. The ancient civilization major is designed to help you learn outside the classroom. Many students take advantage of internship opportunities during the academic year or over the summer to connect what they’re learning with their professional development. In alignment with Clark’s LEEP philosophy, participation in a Study Abroad and Away program is an opportunity to gain world and workplace experience that complements your on-campus experience. Clark approves semester, year-long, and summer opportunities to earn credit through academic coursework, internships, community-based learning, or research. Explore our Study Abroad and Away website, where you can search programs by academic interest, location, and language. After you’ve identified some appropriate programs, ensure they fit into your four-year plan by talking with your faculty adviser as early as possible. 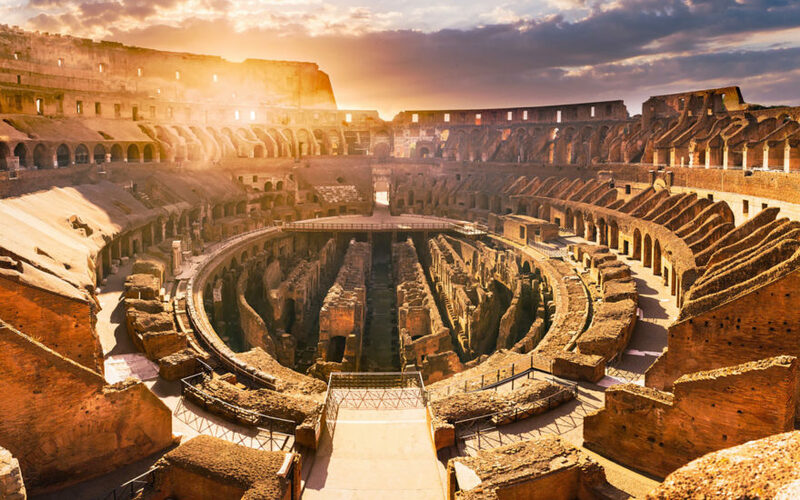 You also are eligible to apply for admission to the Intercollegiate Center for Classical Studies in Rome, where you can spend a semester studying classical literature and archaeology. You can participate in Clark’s many clubs, organizations, and athletic teams as a way to complement your academic work. Clark is committed to action-based learning, which means that as an undergraduate you can join faculty and graduate students in their research. Faculty areas of expertise include the Hebrew Bible, classical art and archaeology, material culture, and Greek philosophy. You can also apply for funding to support your own research on a project of your choice, during the academic year or during the summer. In class and on visits to local museums, you’ll explore selected Greek myths and the concept of the “Classical ideal” as expressed in art—and manipulated for political purposes—from ancient Greece to the present. Immerse yourself in the mind of one of the most brilliant philosophers of all time. Student of Socrates and teacher of Aristotle, Plato helped shape Athens’ Golden Age, and his works remain highly relevant today. From temples to dumps, the things people left behind provide valuable—sometimes the only—clues to past civilizations. Here you’ll trace the history and methods of archaeology by focusing on the Mediterranean region.